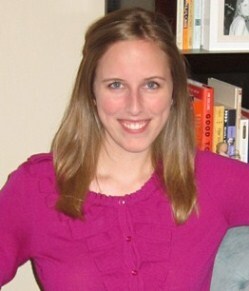 I'm excited to introduce you all to Katie, editor of Off Switch Magazine and blog. As a contributor to Off Switch Magazine (Volume 2 and the forthcoming Volume 4), I've worked with Katie over the past few months, and it's been so inspiring to see her publication grow during its first year. Definitely encourage you to check it out. I barely remember riding a bicycle prior to that late summer night shortly before my sophomore year of high school. If I had ridden a bike, I am sure it was a short-lived and feeble attempt. That night was different though. That night I pulled out my pink garage sale bike with the banana seat and practiced around the block with a new sense of courage for what lay ahead. Not only did I go around our block, I went around all the many blocks that made up our neighborhood’s grid-like streets. I remember waving to neighbors who were outside chatting with friends, feeling so genuinely happy and proud of myself. I’m doing it! I’m doing it! Unfortunately my joy was short-lived. After an hour of carefree riding through the unpopulated streets, I was just a half block from home when I collided head-on with a moving car. I declined the girl’s offer to drive me and my bike home. I suppose I felt I had already caused too much trouble by way of riding in the middle of the street. My lack of experience had gotten the better of my already slow reflexes… and I was embarrassed for it all. What I hadn’t realized until after the driver left was that my bike’s front wheel was now bent inward toward the back wheel. Ten minutes later, I had finally dragged the newly disfigured bicycle home with me. I dropped it on the front lawn and started up the steps to the door, yelling through the screen for my mom. In true parental fashion, she was both horrified by my appearance and that of the bike, while keeping her cool bandaging me up. Sitting on the bathroom toilet I heaved in and out, doing my best to catch my breath and relay the incident back to my concerned mother. Not a few minutes after we had begun "operation hydrogen peroxide and band-aides,” my older brother burst into the house and down the hall to the bathroom door. He was laughing hysterically. My brother had just arrived home and found my bicycle out front. He could not believe how horribly I had totaled my bike after just one night of riding. And beyond that, he thought it was hilarious I had dragged the mess home with me instead of leaving it in the street to pick up later. My first reaction was to pummel him to the ground. How dare he laugh when I am so shaken and upset? I was embarrassed for what had happened, and the last thing I needed was my brother finding the humor in it…well, at least not so soon. In the time since that night, I realize how grateful I am for him and his sense of humor. My brother may have chosen an inappropriate time to make a joke, but I believe the point is that he was able to make one. The experience was unfortunate, but in the end no one was hurt and that’s all anyone can ask for. Beyond that, now I had a story to tell with wounds from my battle in the form of a nubby scar on my right knee and the memory of a truly dismantled bike. With the help of my older brother, I was able to realize that in almost every circumstance there is the chance to find humor, and in retrospect I choose to laugh. 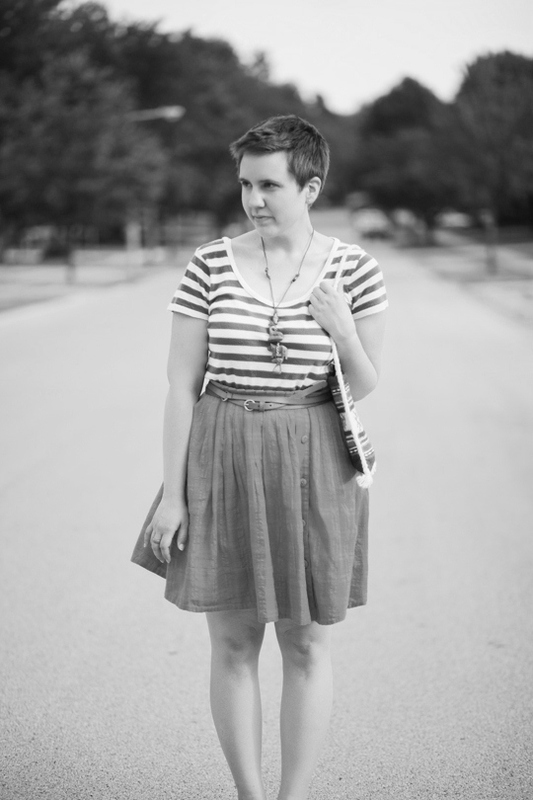 Katie Michels is the gal behind Off Switch: magazine, blog, and shop. As the founder and editor of Off Switch Magazine—a quarterly print publication aimed at encouraging people to pursue their passions—Katie is amazed each day that her "job" allows her to meet and form relationships with like-minded and talented folks from across the country. Katie resides in a western suburb of Chicago, IL and aspires to live each day fully, without an off switch. I love this post as it is so very true! It's something I struggle with quite a bit, but in the end, it's better to laugh at yourself than fall into a pit of sorrow.